The Flashback trojan is a Mac virus that now has control of over 600,000 Macs. 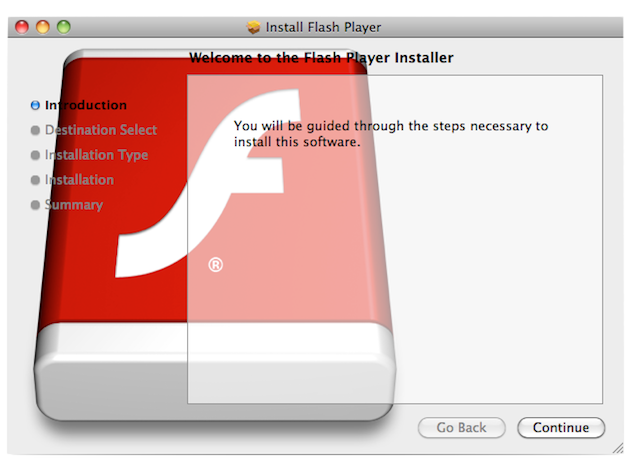 It poses as the Adobe Flash Player Updater and exploits a security hole in Java. It then steals all your user names and passwords for popular websites. Apple released a Java update that fixes the problem. Download Java for Mac OS X 10.6 Update 7 (Snow Leopard users) or Java for OS X Lion 2012-002 (Lion users). Both these links are to Apple KB articles that describe the update and allow you to download the installer package. Delete the files obtained in steps 2 and 5. An alternative to the Terminal method is Flashback Checker. It is a free little application that checks for the trojan and tell you whether you are infected or not.